Overt protectionism is difficult to do many times, because of international laws/politics/treaties, such as WTO rules. But protectionism can be useful or necessary [or both] for nations at times. If you can announce to the public credible-sounding concerns/reasons for taking certain steps [basically a pretext that doesn't sound like a pretext], and it you can tell a story in which your grave concerns/reasons logically require you to take those difficult steps, then you can pretend that you're not doing protectionism, and you can plausibly deny that any protectionism resulting from these steps is purposeful; you can instead argue that any such resultant protectionism is merely incidental, and that you're in fact forced [by circumstances] to resort to taking these tough steps [and have no choice], and that you're not taking these steps out of will or wish, but out of necessity. If Indian government wants to reduce its import bill, and wants to give a boost to domestically-made automobiles/automakers, then it can use the environment/pollution excuse to ban the sales of high-end luxury cars that run on diesel [since most high-end cars that sell in India sell in the diesel variant], claiming that these contribute to high pollution levels. Such a ban will appear benign to everyone, allowing India to quietly and covertly help its domestic automobile industry and also to reduce national imports. Edward Snowden has given countries around the world - and especially the adversaries/rivals of US - fantastic cards [which are actually quite familiar] in the name of national security and privacy of citizens using which these countries can use strong protectionist measures without looking bad on the world stage. China, and to some extent Iran/Russia [link 1] [link 2] [link 3], are already reaping the fruits of the NSA exposes to promote homegrown technology products/services over Western ones. India can and should do the same. Let's not becomes slaves of Western technology companies. 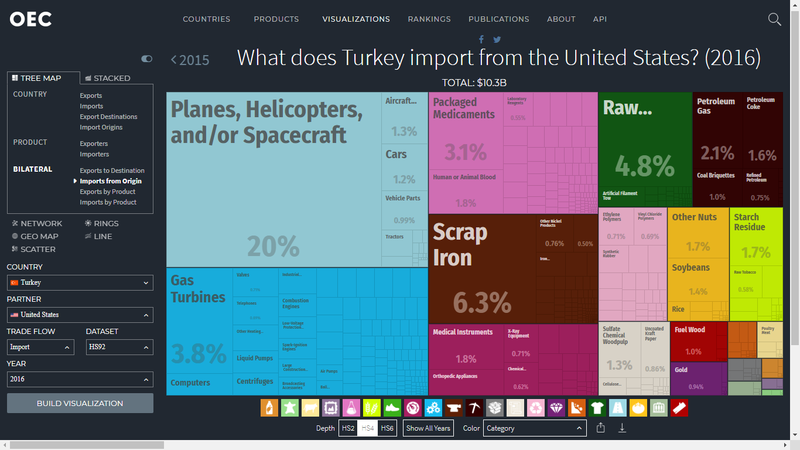 Update [15-Aug-18]: It's an excellent opportunity for Turkey to "encourage" its citizens to boycott American products, and to switch to alternatives from other countries. Even without writing down such a boycott into law, Turkish leadership can achieve similar effect/impact via public-awareness campaigns. In particular, Turkey could and should ask its vast population to boycott Apple iPhones and laptops, American cosmetic and fashion products, American perfumes, American motorcycles/cars, American online services [prefer Yandex services], and other consumer products [and particularly those on which the Americans enjoy high profit margins, so as to hurt US more per dollar in sales to Turkish people]. Turks should also avoid holidaying in the US. And of course, Turkish Airlines canceling at least some Boeing aircraft orders will be a good warning to US.